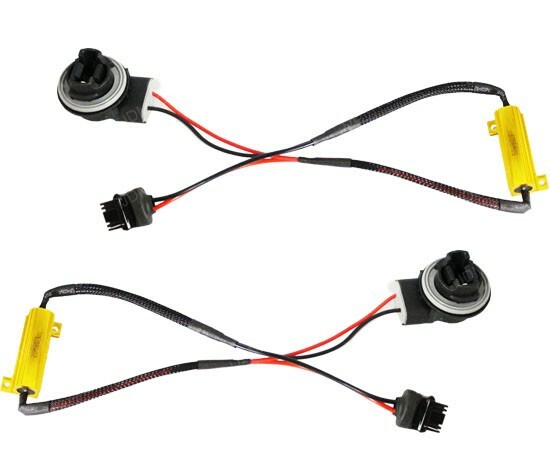 Q: Will these hyper flash fix wiring adapters fit my car? A: First all, you need to purchase the correct bulb size (available: 1156/7506, 3156/3056, 7440/992A). 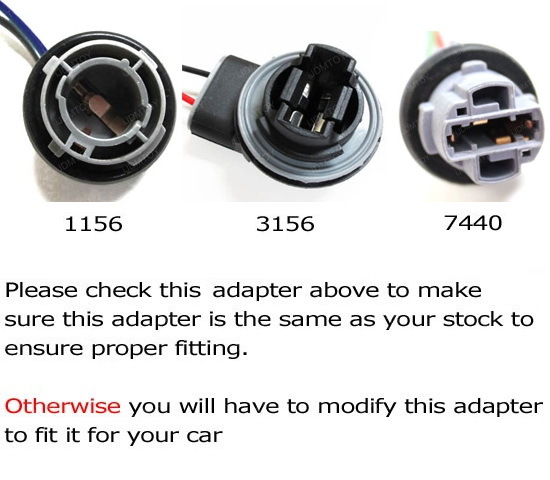 Second, check this picture below to make sure your stock bulb adapter is the same as the ones on this picture to ensure no modification required for the fitting. 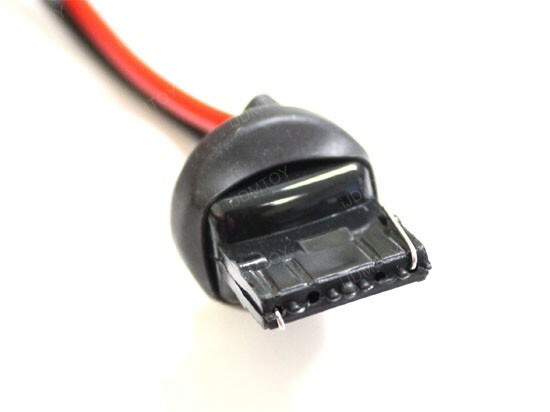 If your stock bulb adapter does not look exactly the same as the ones shown below, this product will still fit, but some modifications are required. 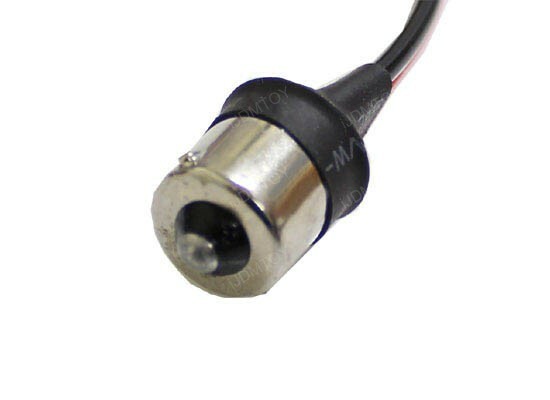 Q: How can I modify this hyper flash fix wire adapter to fit if it's different from my stock one? A: Base on our experience, you just need to modify slightly this hyper flash fix wiring adapter by cutting off the tabs a little bit. Q: How come it still hyper flash or trigger error message after the installation? 1) Turn on the light and touch the decoder for a sec to see whether it gets warm or not. 2) If the decoder does get warm, please try to lock the car, wait about 10 sec and start the car and try again see whether the error message gets away. Q: Do I need to mount this decoder? A: Yes, please mount the resistor portion to metal. 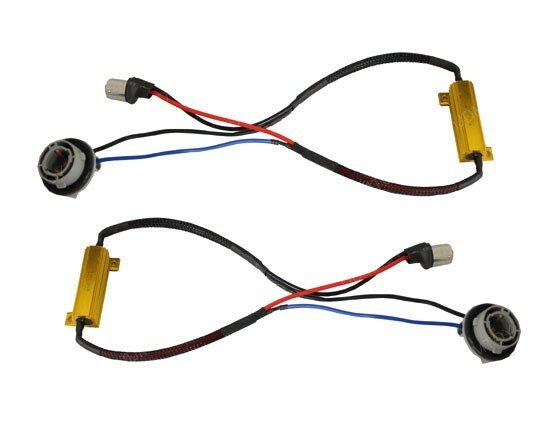 This page features one pair (2) all new full 50W-8Ohm 1156/7506/P21W, 3156/3056/3456 or 7440/992/T20 hyper flash fix error free wiring harness for turn signal lights. 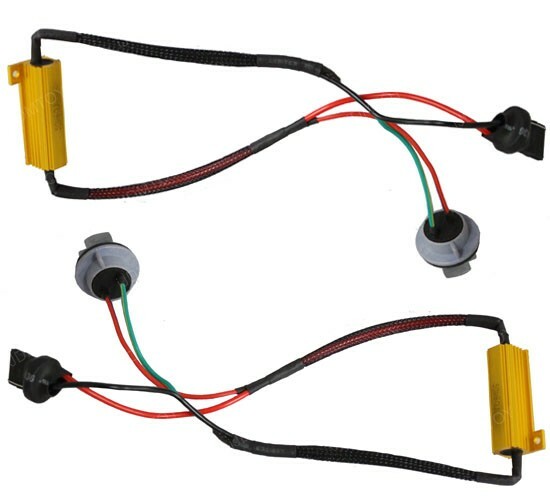 This Error Free wiring harness will ensure no annoying rapid flashing nor error when installing 1156 1073 1093 1129 1141 1159 1295 1459 1619 1651 1680 7506 7527 P21W, 3156 3056 3456 4156 or 7440 7440A 992 T20 single filament LED bulbs for the turn signal lights. 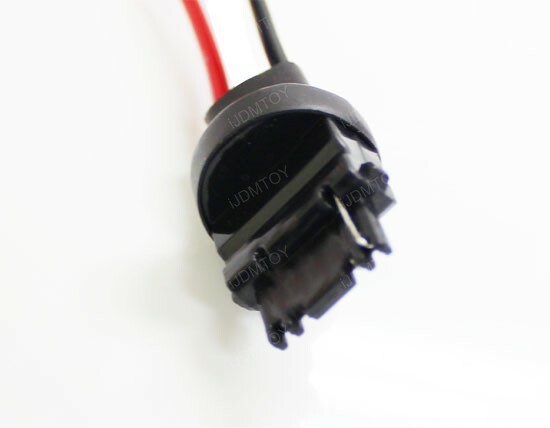 By using this, you will no longer need to tap any resistors which will cut and damage your stock harness.